I grew up in Colorado Springs but lived in Miami and Los Angeles for six years. My wife and I returned to Colorado in 2009 to start a family and now have a 4-year-old son and 2-year-old daughter. I enjoy having adventures with my family, watching Broncos Football and playing in a Country/Rock cover band on the weekends. I started working for All Seasons in late September of 2009 and obtained my Real Estate license in August of 2010. After almost three years with All Seasons, LLC, CRMC I took a job with Colorado Farm Bureau Insurance as a multi-line field claims adjuster. During this time I learned a great deal about construction as well as the insurance business. 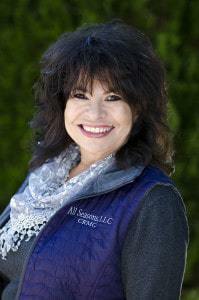 I am very excited to be back with All Seasons, LLC, CRMC as of January of 2014 and love working for such a wonderful company. It is very refreshing to be back with a family owned and operated company who really cares and is always striving to be the best in the industry. After establishing All Seasons in 1986 and after almost 40 years in the real estate industry I am now an Associate Broker in this fabulous company. In 1983, the first management contract was 64 doors for an investor here in town. After that, the management side of the business imploded and the rest is history. I am still pondering whether the business stole my identity or created my identity - but either way it consumed me and I love it. I have served as Secretary and President of the local chapter of NARPM (National Association of Residential Property Managers) and on NARPM national boards, including Long Range Planning and Governmental Affairs. I was appointed the Southwest Regional Vice President of NARPM for 2010-2011. This appointment of Vice President afforded me the opportunity to travel, teach and meet many stellar property management professionals throughout the United States. 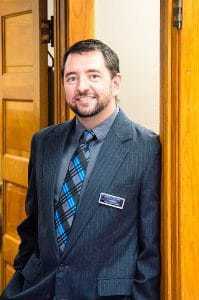 I served as a receiver during the recession, and for the past 7 years as an expert witness regarding property management and legislative issues. In July 2017, Colorado Governor Hickenlooper appointed me to serve as one of the five Real Estate Commissioners in the state of Colorado. I am honored and excited for the new position and a chance to give back to the industry. I couldn't be happier or more confident that the new owner, my son, Matt Rogers and his entire team will carry on the All Seasons tradition and take it to new heights. I firmly believe that we all need to be concerned about what legislature is doing with the real estate industry because rental properties, especially here in Colorado have been and hopefully will always be one of the best wealth creators. If you need ANY Real Estate service in Colorado Springs, you have contacted the best company, bar none. DESIGNATIONS: Graduate of the Real Estate Institute (GRI) and Certified Residential Specialist (CRS) through the National Association of Realtors (NAR). 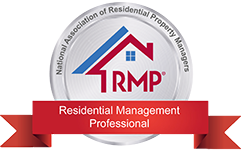 Residential Management Professional (RMP) and Master Property Manager (MPM) through the National Association of Residential Property Managers (NARPM). I joined the All Seasons, LLC, CRMC team as the Controller in August of 2004. I received my Real Estate license in 2006 so that I could also perform Property Management duties. 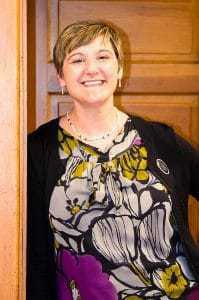 I am a current member of NARPM and have served on the local Board of Directors. I currently serve on NARPM’s National Governmental Affairs committee. 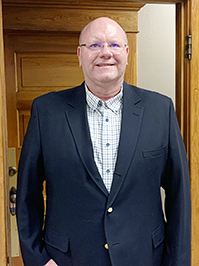 I assisted All Seasons, LLC, CRMC in earning the prestigious Certified Residential Management Company (CRMC) designation in 2008 and followed that up by earning my Residential Management Professional (RMP) designation in 2009. 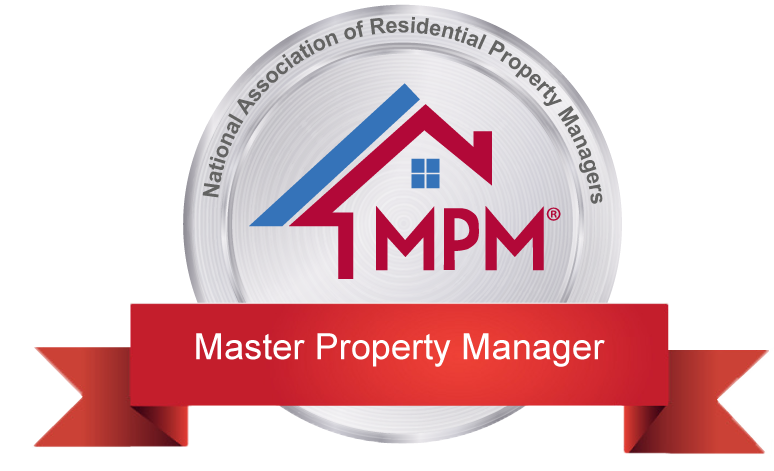 I am currently working toward earning my Master Property Manager (MPM) designation. I feel truly blessed to be a part of the All Seasons, LLC, CRMC family. I love my job and enjoy working with all of our valued customers, clients, and vendors. I have lived here in Colorado Springs most of my life, aside from a few years in Hawaii. While there I worked in retail and Condominium Rentals. 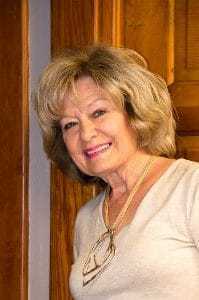 Before joining the All Seasons, LLC, CRMC Team, I was the receptionist and office administrator for a local television station. When Matt approached me with an offer to be the Director of Leasing with All Seasons, LLC, CRMC I jumped at the chance. 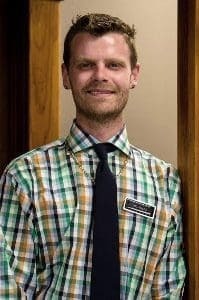 I have been with the company since 2007 and enjoy the opportunity to meet new people and help them find them their home in Colorado Springs and the surrounding areas! I was neither born nor raised in Colorado, and while I resisted transplantation on two separate occasions, “third time’s a charm,” and I’m happy to have called Colorado home since 2016. 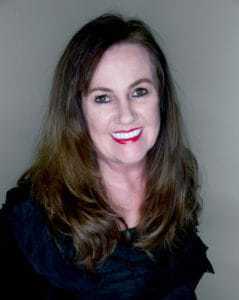 I joined All Seasons as the Administrative Assistant in 2019 and am grateful to have joined a team of true experts in Property Management. I enjoy meeting people and problem-solving. When I’m not working, I’m studying toward a MEd in Positive Coaching. When doing neither of those things, you can find me snowboarding, hiking, weightlifting, or traveling. My real estate career began in 1992 in Fremont County, just south of Colorado Springs. 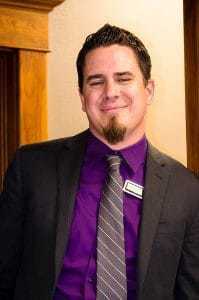 I was selling residential properties in Canon City, Penrose, Florence, and other outlying areas. About a year later, I had an opportunity to move to Alaska to go to work for a major cruise line in the Last Frontier. I returned to Colorado in 1999 and began working again in real estate in the Colorado Springs market. My main focus eventually became working for high end builders in model homes in Stratton Forest, Stratton Preserve, and the Broadmoor Spires area. In September 2009, I joined All Seasons, LLC, CRMC working on weekends and some holidays showing rental properties. I thoroughly enjoy being out and around meeting new people and helping them find a new place to live whether it is a large home or even a small apartment. Helping military families relocate is especially rewarding to me. I am looking forward to a long working relationship with All Seasons, LLC, CRMC and would love to help you find a new home. I am from Austin, Texas. I began managing property officially in 1995, but my family has been in the business since 1972. My Wife, Son and I moved to Durango, Colorado in 2014 and opened an Art Gallery and Jewelry Store. I was also a fishing guide on the San Juan River Quality Waters. While this was fun, it just was not us, so we took a job managing Cottonwood Cove Guest Ranch in Creede, Colorado for the 2017 and 2018 Seasons. I would never trade my two years in the Guest Ranch business, but it convinced me that I needed to get my Colorado Real Estate License and get back to doing what I know and love, Property Management in a larger City! I joined All Seasons, LLC CRMC in March of 2019 and I could not be more excited. The family run aspect of the business gives it the personal touch needed to keep everyone happy, while the constant training and communication keep everyone safe and informed. All Seasons, LLC CRMC is a company that I am proud to call home and I hope to keep all our Owners and Tenants comfortable. I joined All Seasons, LLC, CRMC on a part time basis in December of 1998 but some may say I’ve worked here far longer than that. Carolyn, my mother, founded the company in 1986 and by the early 90’s, I was spending much of my time after school in the same office we operate out of to this day. I officially started working full time for the company in June 2004, after earning my Colorado Real Estate license. Prior to receiving my license, I worked at a local television station doing various “behind the scenes” duties. 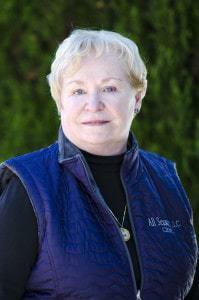 After serving as Broker Associate, Property Manager, and eventually Vice President for All Seasons, LLC, CRMC, I purchased the company from Carolyn in 2017. This was a true honor and I’m so proud to lead the best team of Property Managers and Real Estate Sales Agents in Colorado! I am a current member of NARPM and am a two-time Past President of our local chapter. I am always continuing my education and received my RMP (Residential Management Professional) Designation at the NARPM National Conference in Scottsdale, AZ in 2007. In my free time, you will find me enjoying it with my beautiful wife and daughter, at a concert, catching a Denver Broncos game, or having a BBQ with friends. I strive to stay on top of legislative topics that could adversely affect our business. I’m humbled and excited for what the future holds, as our team continues to set the standard in Residential Property Management and Sales. If I can help answer any questions for current or prospective clients, or even just someone interested in investment properties, please don’t hesitate to contact me! I was born and raised in Colorado Springs. My background is in radio and video production. I joined All Seasons, LLC, CRMC in the Summer of 2016 as Property Assessment Specialist. I am in charge of making sure that I document every property move-out with a video of the home’s condition. I also document every property move-in with a video of the home’s condition. Aside from the move in/out videos, I am the friendly face that you see when it is time for exterior/interior assessments and joining the Property Managers on Interior Walkthroughs. I’m married to my best friend, have 5 kids and 2 dogs. A nearly blind and totally deaf King Charles Spaniel named Lindy and a hyper Golden Retriever puppy named Gus. In my spare time, you can catch me playing with my kids, playing guitar or dating my wife. I am currently enrolled in college and am working toward a degree in Graphic Design. I grew up in Colorado Springs, working 20 years in the Physical Therapy field before joining the All Seasons team. I am married to my high school sweetheart, am the proud Mother of 2 and Grandmother to beautiful twin Grandchildren. I joined All Seasons in 2008 and am looking forward to being with the company long term. I enjoy meeting people and assisting them. Hi! 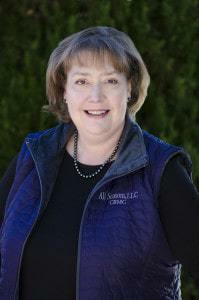 My name is Suzi Goodall Adamson and I am a 4th generation Colorado resident. As a professional, licensed Realtor, I can help you with all of your Real Estate needs. 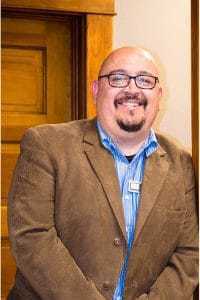 I belong to 3 Multiple Listing Services which include the Royal Gorge Association of Realtors (Fremont County), Pueblo Association of Realtors, and Pikes Peak Association of Realtors (El Paso County/Colorado Springs.) Belonging to these 3 MLS’s and paying for enhanced listings on Realtor.com helps your property get lots of exposure. I have lots of marketing techniques that have proven to be very successful. If you are interested in buying HUD homes, I am a HUD Home Agent and can assist you with that purchase too! Successfully helping people buy & sell their properties is a true pleasure. It gives me an opportunity to meet some of the nicest people in the world. Family and Friends are a big part of my life and 90% of my business is from referrals. Please call if I can help you get started on the process of buying or selling! Hello, I’m Nick and I have a passion for Colorado real estate! I am a 5th generation Colorado resident and have been involved with the housing industry since I was a young teen. Growing up I was captivated and surrounded by many of the various areas of the construction and real estate trades. I’m a 2016 graduate earning a BS (Bachelor of Science) Pre-Med with a minor in chemistry and a BFA (Bachelors of Fine Arts) from CSU-Pueblo. Throughout my higher education I emphasized in painting and ceramics as well as in photography enabling me to give an excellent visual representation of your property. I continued working in the construction and real estate industries throughout my higher education along with tutoring a multitude of students where I found that helping people understand came naturally to me. 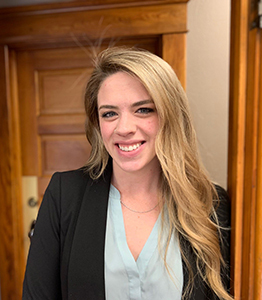 I believe every person and every aspect of a transaction is important and truly enjoy blending my knowledge and my ability to help others comprehend the complex process of real estate. I strive to bring a fresh, savvy, dedicated dynamic built to help you achieve you real estate goals!